It’s FRIDAY which means it’s the weekend. Ladies and gentlemen I am SO excited because this week is our SPRING BREAK. Greg and I were trying to figure out who would take off work to be with Wolfie. And after a round of “Well, i can take off 2 days, can you do the other 3?” We looked at each other and said, “Ummm…..why not take the whole darn five and go on vacation!” So guess where we’re headed? HAWAII!!!!!!!!! Oh my lerdy I am so excited I can’t even tell you. This is our first proper family vacation EVER since Wolfie was born. We usually go to visit my parents or Greg’s parents—and we’re lucky, my parents live on a super lovely lake in Michigan and Greg’s parents live in sunny Myrtle Beach, so we always have a great time. But this is our first “just we three” getaway. On a plane. To a hotel. Not in California. Whoo hoo! Miss Dottie will be here to hold down the fort and I have some awesome Guest Bloggers who will be filling in for me. While I’m off dreaming of pineapple fizzy drinks and lounging poolside, I wanted to leave you with some fun links that caught my eye this week! 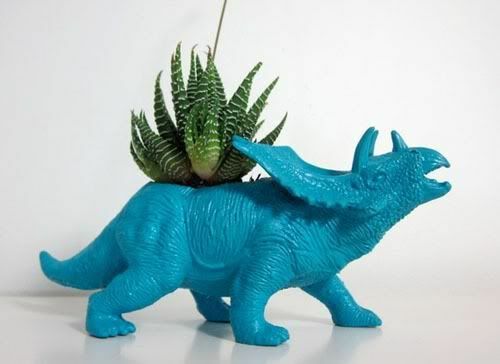 I love these amazing Dino Planters. They’re so simple and cool. 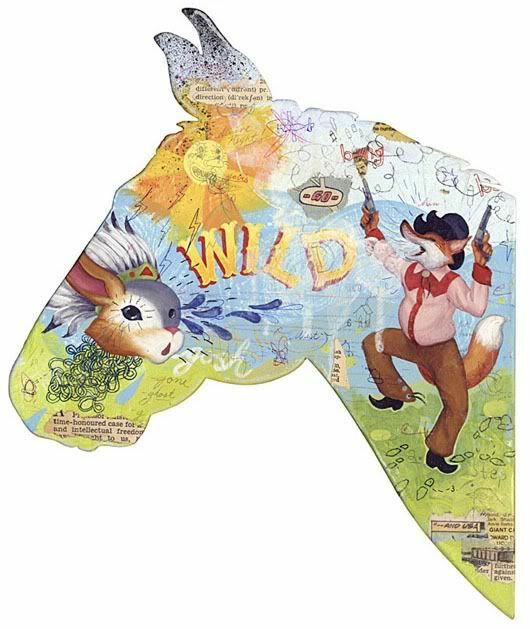 Great for a kiddo bedroom but would also be fab in a funky living room. 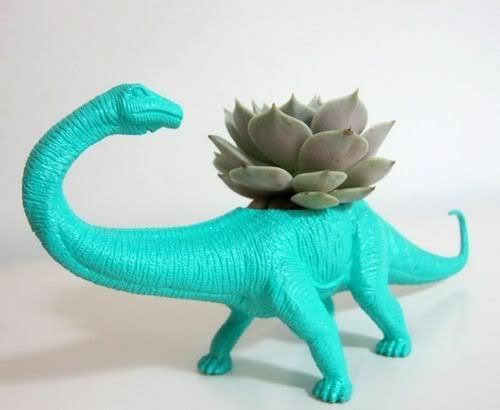 Planting succulents is genius because they need minimal watering! Oh ho ho! Check this dapper dan out! 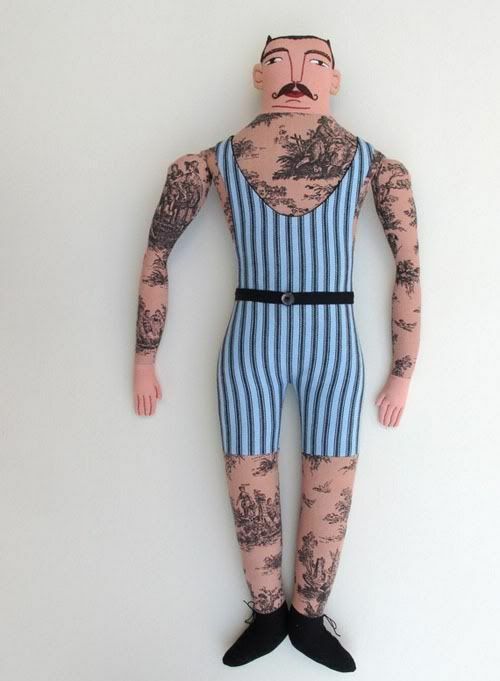 Is it weird to want a Strong Man Doll? I love it! I guess he might be a little creepy looking to a child, but I think he would be SO cool just hanging around. 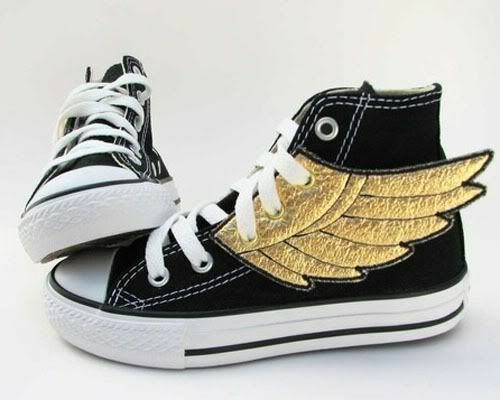 I spied these amazing superhero shoes on Babble and thought they were just too cool. Not sure whether to get them for Wolfie or myself! 4. DO THE HOKEY POKEY. OK, admittedly this hedgehog pencil holder is a little dangerous for really small kiddos, but it’s SO CUTE for older kids! You could always insert the pencils point down too, if you wanted. So sweet. 5. RICKY SCHROEDER AIN’T GOT NOTHING ON THESE BABIES. 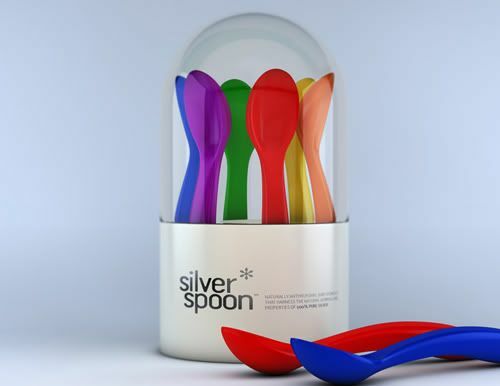 I don’t know what’s more confusing about these silver spoons. The fact that they are “infused with a proprietary silver anti-microbial ion” OR the fact that they are produced by Roman Coppola, Sofia’s little brother. I’m tempted to make “born with a silver spoon” jokes but you know, that’d be too easy. 6. SMITEN WITH THE MITTEN. 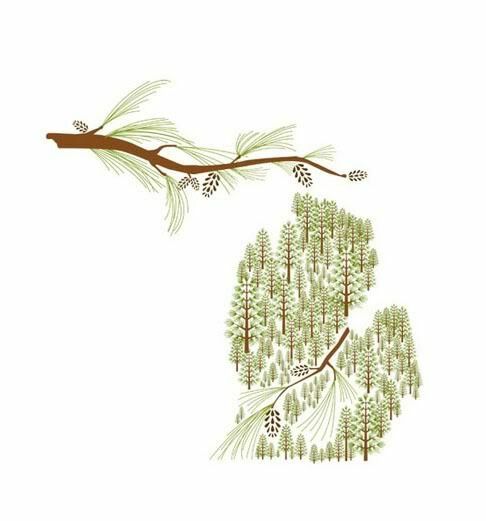 I thought this michigan print made out of conifers was so charming I kinda want it for my house. I’m a Michigan girlie, ya know. What is your home state? 7. 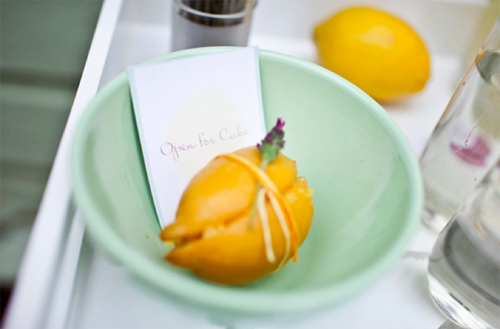 PUCKER UP LEMON CAKES. 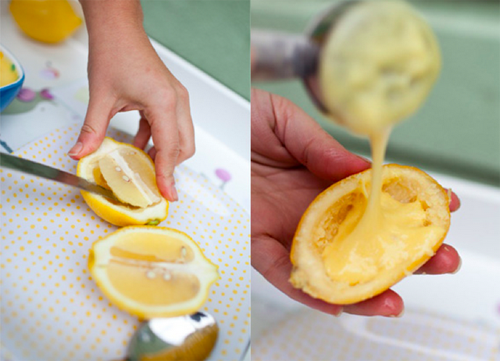 If you were going camping, how fun and cool would it be to impress the camp fire crowd with these lemonade cakes?? Yep. You bake them right inside a lemon. 8. BEAUTIFUL FLIGHTS OF FANCY. Oh my. 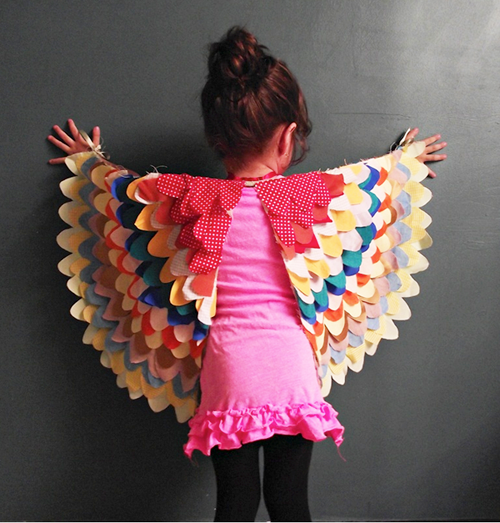 I just can’t get over these beautiful crafty wings I spied via inessa at little miss heirlooms. Have you ever?? Dottie I think the Peach needs some of these STAT! 9. BIG TOP BIG WIG. This is the cutest invitation. Jenny/ Frecklewonder sent me a link to Twittering Bird and I fell in love! 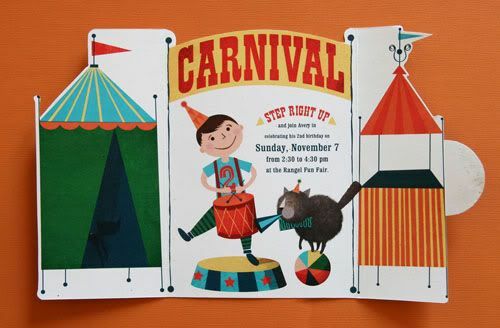 Mama Cassie made these circus birthday invitations for her son Avery. That’s him in the illustration too. How clever and creative! 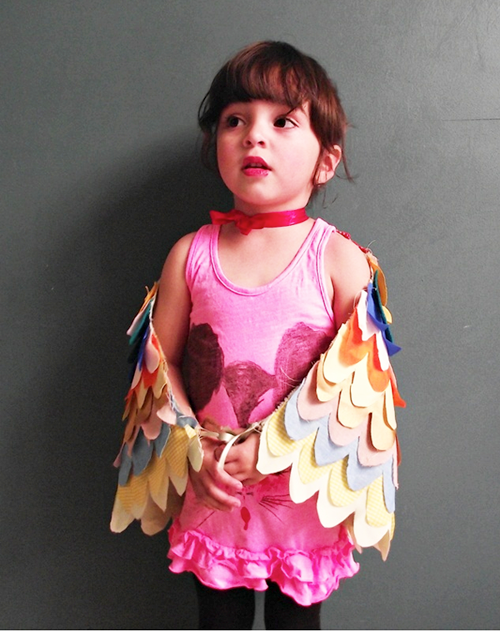 See more on her blog, Twittering Bird. The Jealous Curator (via SFGirlByBay) posted this fab collection of vintage-inspired art that i thought was really fantastically cool. So that’s it folks! Have an amazing weekend. I’ll be reporting to you next from the sunny shores of HAWAII! OMG Can I sneak along in one of your fab suitcases! Have a great trip. Love the MI print! 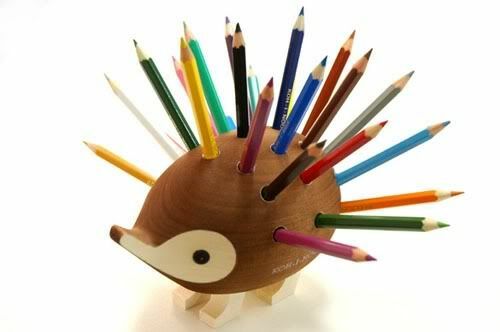 Also loving the hedgehog pencil holder, what a great idea. Have fun in HI, you lucky lady! Agh! Which one to buy first???? My wallet is panting.